CAUTION! Danger Ahead - The Perils of Land Surveying | Land Surveying Inc.
Today’s Land Surveyors may not face the same perils and uncertainty as the pioneers of the old West, but they do face hazards at work every day. We regularly work in active mines and oil fields, busy highways, rugged and remote terrain, and construction zones to name a few. What are the biggest threats that Land Surveyors face in Wyoming, and what can we do about it? Any type of outdoor work in Wyoming’s extreme climate can pose a number of health hazards, and surveying is no different. Because of the equipment we carry, lightning is a very serious concern. Sunstroke, dehydration and frostbite can all happen very quickly if proper precautions aren’t taken. Surveyors should wear hats, heat reflective clothing, apply sunscreen and drink plenty of water during the summer months. In winter months, always pack a spare tire, a first aid kit, food, water, extra clothing, GPS system and phones, which will come in handy in emergency situations. Vehicles should also be thoroughly tested and have a full tank of gas before embarking on the journey. Wyoming is known for its abundance of wildlife. Surveyors often encounter animals while working in remote locations; it is a good idea to carry bear spray in case an animal becomes aggressive. 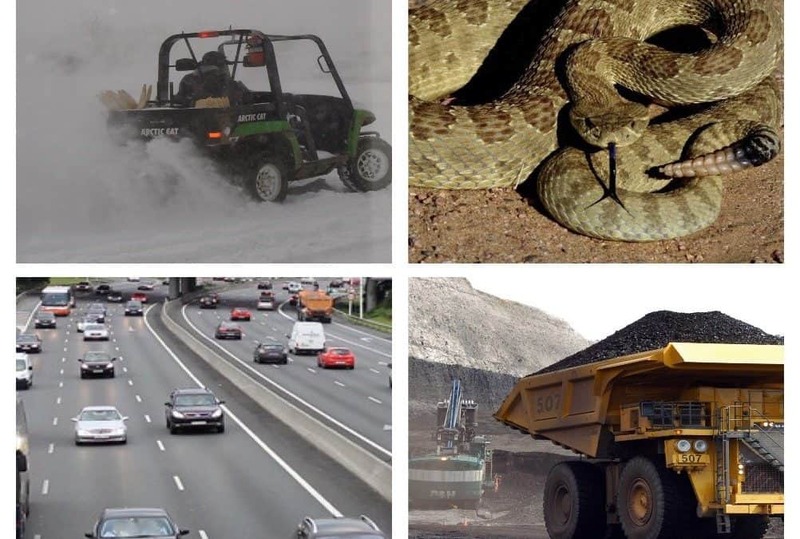 Surveyors should also have a first aid kit as well as a snake-bite kit in their vehicles. Most importantly, wear durable boots and clothing that covers as much skin as possible. Be aware of your surroundings and keep an open ear; snakes are often heard before they are seen. In addition, ticks are present during portions of the year, and can carry very serious diseases. When land surveyors are called out to mine or construction sites, they should be briefed on that site’s safety procedures. It is the surveyor’s duty to wear appropriate safety gear such as hard hats, proper work boots, high visibility vests and any additional gear that is required, such as eye and hearing protection. Land surveyors often spend time by roadsides and on city streets. Motorists aren’t always paying attention, and it can become dangerous for a land surveyor to be standing nearby. Safety procedures should be put in place when surveying – setting safety signs, flags or cones around the work area are a must. Land Surveyors should stay aware of their surroundings and be vigilant. Here at LSI, safety of our employees and our community are paramount in our work. We hold weekly staff meetings and monthly safety meetings featuring different topics to remind our employees to be vigilant and careful on the job. Our safety policy includes written standards on maintaining a safe work area, hazard analysis, communications, heat illness prevention, and personal protective equipment. Land surveying is a fun, exciting, and rewarding career, and we encourage our employees to do their best while making safety a top priority. Alana Johnson, GIS and Client Relations. Alana serves as GIS technician and provides other office and client related services for Land Surveying Incorporated since 2017. She uses ArcGIS to prepare a variety of map deliverables including landowner maps and surface use plats. In addition, her duties involve maintaining internal files and work orders, tracking client correspondence and other office duties. Alana has over 20 years of experience as a legal assistant, which involved preparing and reviewing various legal documents, as well as managing schedules, tasks, paperwork, and files for the office.